December | 2014 | Live Healthy S.C. This week is National Influenza Vaccination Week, and a great reminder that it’s not too late to get the flu vaccine. As you begin to prepare for this holiday season, take a moment to learn how you can protect yourself and the ones you love from the flu. The flu can mean missed days at work or school, doctor’s visits, or worse for you and your family. From Sept. 28, 2014 to Dec. 06, 2014 (the current 2014-2015 flu season), there have been 5,827 lab confirmed cases of the flu reported in South Carolina, including over 300 confirmed hospitalizations and seven deaths. While certain people are at greater risk for serious complications from the flu, individuals 6 months of age and older, including healthy adults, can benefit from receiving their yearly flu vaccine. The CDC and DHEC recommends that everyone 6 months of age and older get an annual flu vaccine; it is the single best way to prevent seasonal flu. 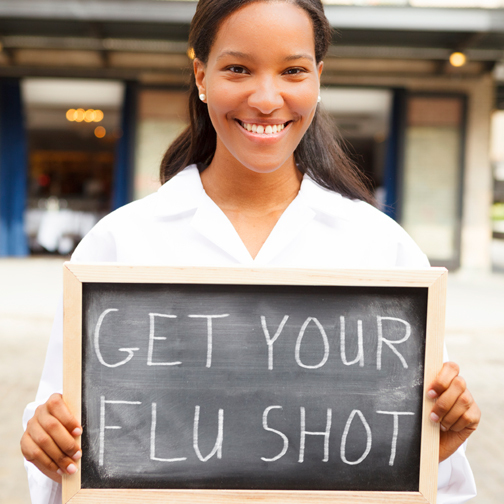 Even if you don’t have a regular health care provider you can still get the flu vaccine. In addition to DHEC, many local providers — including doctors’ offices, clinics, pharmacies, college health centers, schools, and workplaces — now offer flu vaccines. We encourage everyone to find the facility that works best for them. This entry was posted in Community Health, Disease Control, Prevention and tagged flu, flu vaccine, Influenza, National Influenza Week, prevention on December 11, 2014 by SC DHEC. Today in South Carolina, approximately 578,000 acres of natural molluscan shellfish (oysters, clams, and mussels) areas are monitored by the state. Responsible for the stewardship of these grounds, our Shellfish Sanitation Program monitors and surveys these areas to assure that the shellfish are suitable for human consumption. With public health and safety in mind, the primary goal of our shellfish program is to ensure that shellfish and the areas from which they are harvested meet the health and environmental quality standards provided by federal guidelines and state regulations. In addition, the program promotes water quality restoration of state waters designated for the harvest of shellfish. The patrol activities conducted by our Shellfish Officers play an important role in helping the program meet its goals. These patrols are conducted on foot, by boat, and on land vehicles. When necessary, aircraft patrols are coordinated with S.C. Department of Natural Resources. In order to perform patrols, our officers must go through intensive training by the S.C. Criminal Justice Academy. This training includes various classes, practical scenarios, firearms skills, and driver training to prepare graduates for their new careers. We are proud to introduce the newest officer in our Shellfish Sanitation Program, Sydni Pope. 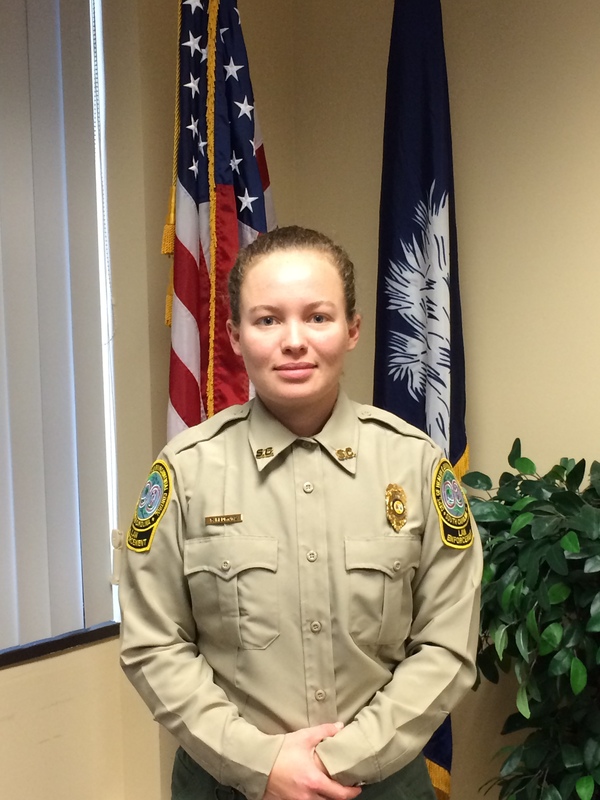 Pope recently graduated from the S.C. Criminal Justice Academy, where she completed a rigorous twelve week long course to become a certified Class 1 Law Enforcement Officer. Congratulations to Syndi, and thank you to all of our Shellfish Officers for the work that you do every day. This entry was posted in Uncategorized and tagged S.C. Criminal Justice Academy, S.C. Department of Natural Resources, shellfish, Shellfish Sanitation Program on December 8, 2014 by SC DHEC. Today, childhood lead poisoning is considered the most preventable environmental disease among young children. Yet, approximately 500,000 U.S. children between the ages of 1-5 have blood-lead levels above the Centers for Disease Control’s (CDC’s) action level of 5 micrograms per deciliter. In the State of South Carolina, all blood-lead levels are required by law to be reported to DHEC. 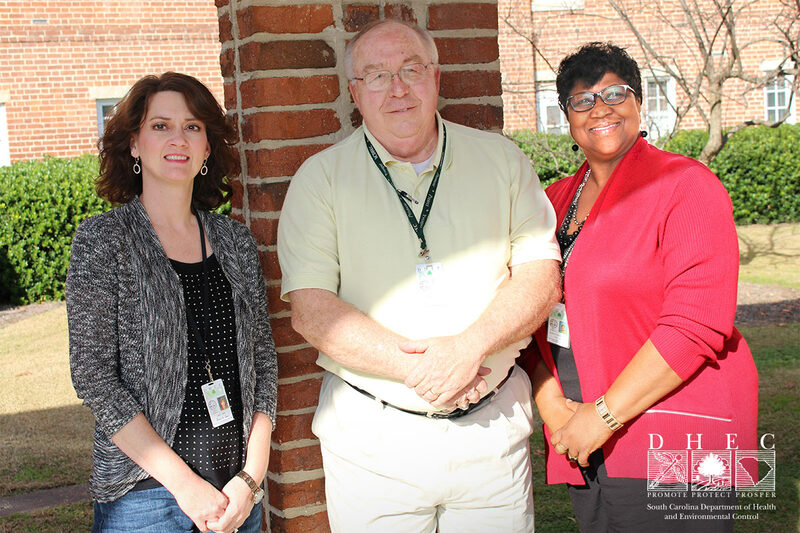 Committed to reducing the risks of lead exposure, DHEC’s Division of Children’s Health, in conjunction with the Bureau of Environmental Health Services, follows up on cases that indicate elevated blood-lead levels, providing home investigation and assessments as necessary. Recently, this team’s collaborative and persistent efforts provided a successful determination of a lead source, and a very positive outcome for a local family. This entry was posted in Maternal & Child Health, Uncategorized and tagged Division of Children’s Health, Lead poisoning prevention on December 4, 2014 by SC DHEC.